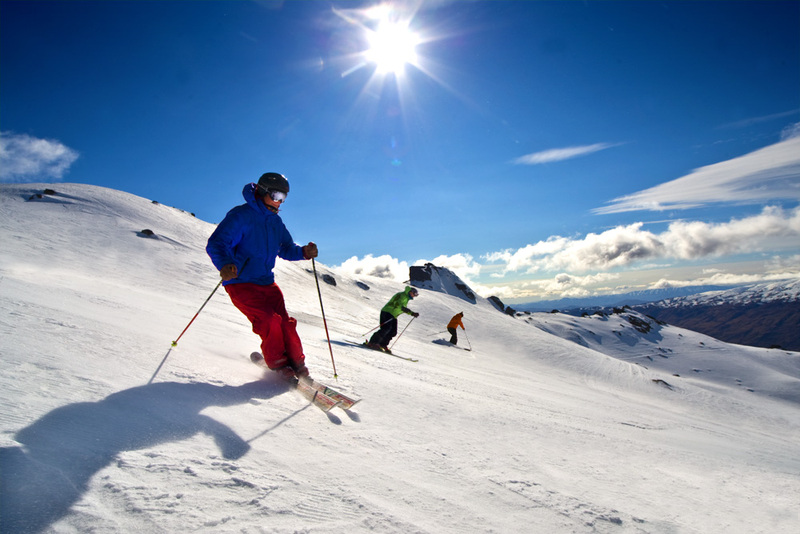 Cardrona Alpine Resort is located in the Cardrona Valley between Wanaka and Queenstown. 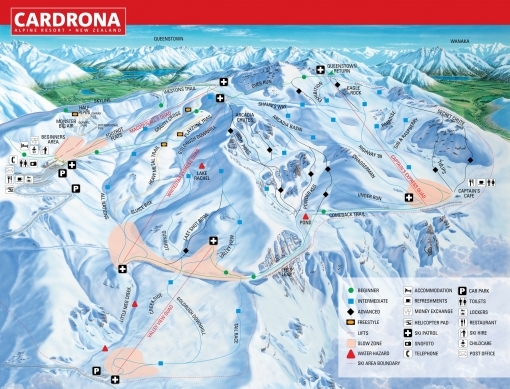 A high, wide mountain with fabulous snow, Cardrona consists of three separate basins, each with a large range of terrain to suit all levels of skiers and riders. The ski area covers nearly 350 hectares and is accessed via 3 quad chairlifts and several learners tows. Beginners can enjoy a series of groomed trails that take them to all areas of the mountain. There are plenty of excellent runs for intermediates especially off the Captains quad and the Whitestar Express chairlifts. Advanced riders can get a kick out of finding lines through the Arcadia Chutes. Cardrona builds and maintains two halfpipes of different sizes as well as the Heavy Metal terrain park - a 1000 metre long run featuring rails, fun boxes, jumps and tables. Cardrona boasts the most extensive freestyle park out of all of the ski areas in New Zealand. Cardrona also maintains a super fun skier/boarder cross throughout the season to challenge your friends on!